I hope you had a wonderful Thanksgiving and that the weather was as beautiful in your neck of the woods as it was here in Atlanta this past weekend. There are many things that I am thankful for – my family and our clients topping the list. We recently celebrated Ava’s six-month birthday, and she gets cuter by the day. She’s up to a whopping 20 pounds and sleeps 10 hours a night uninterrupted. We’re thankful that she’s healthy and happy, and she brings us much joy. She is not spoiled yet – but she will be soon. Life is good! In economic news, however, there may not seem to be a lot to be thankful for this year. Nevertheless, I’m still optimistic, and in this post I’ll share some of the positives that the media has seemingly swept under the rug. Admittedly, I’m an economic nerd, and while most people probably don’t enjoy researching economic statistics, I find it fascinating. After reading the back page of Barron’s over the weekend, I am more convinced than ever that the economy is doing okay and that the stock market is overreacting to current events. Over the last two weeks, the broader stock market has gone down approximately 8%, although none of the economic news concerning the United States warranted such a decline. Rather, and as many financial commentators explained, the decline centered on the problems in Europe. After years of a “cradle to grave” mentality, many of the Eurozone countries are now faced with the economic reality that they cannot deliver on their socialist promises. But as I’ve said before, the impact to the U.S. economy and its stock market from Europe’s woes is a mystery to me. I’ll explain why below. First, the U.S. only exports about $1.5 trillion a year to foreign countries. Of that $1.5 trillion, about 25% -- or $375 billion -- is to European countries. The U.S. GDP is now roughly $15 trillion of which exports are only 10%. How can any reasonable economist think that the $375 billion exported to Europe is going to have any major affect on the U.S. economy? I don’t understand why anyone would think that just because the European banks are having trouble, European consumers would be any less inclined to buy. It’s perfectly possible that Europe might fall into a mild recession, but even so, it’s likely that consumers throughout Europe will still continue to spend. If that’s the case, exports from the U.S. will continue. However, the real focus for investors should be what the U.S. corporations are doing insofar as the profits they are earning and what prospects there are for the U.S. economy. Those are the facts that affect stock prices. Noted lifetime bear economist Nouriel Roubini has essentially guaranteed that the U.S. will fall into recession next year due to the European problems. Since Roubini has basically been forecasting a U.S. recession since the turn of the 21st century, however, this proclamation from him should not be a surprise. After all, even a broken clock is correct two times a day. As I’ve said before, it’s unwise to invest for your future based upon public sentiment and conjecture. The only true catalysts for stock prices are earnings, interest rates, and the economy. These are the hard facts upon which I will bore you with today. The economic data makes it absolutely clear that the U.S. economy is sound. Except for the residential construction industry, most facets of the U.S. economy continue to operate in a positive fashion. The growth in GDP for the third quarter of 2011 was 2%, and it is a common belief among economists -- and me -- that we should see between 2% and 3% GDP growth for the fourth quarter of 2011 and all of 2012. While this can’t be considered robust growth, it is more than adequate to generate profits. Let me give you some real numbers. When they announced last week the GDP growth had been revised down from 2.5% to 2%, the market took a major hit. I am positive most of the traders sold on the news without even reading the actual report. I read the report. During the quarter, private business inventories fell by $8.5 billion. This could be for a lot of reasons, but maybe it was due to high sales liquidating inventory. If inventories had not dropped, the GDP growth would have been 1.55% higher. Therefore, rather than 2% for the third quarter it would’ve been 3.55%, which would have been extraordinarily good. For those that do not find reading the GDP report intellectually stimulating, it is likely that this inventory number will be reversed in the fourth quarter and that gain of 1.55% will then be realized. If so, fourth quarter GDP should be excellent. For the month of October, the manufacturing capacity utilization has jumped to 77.8%. The full capacity rate is met when capacity utilization is at 80, and so we are just shy of full capacity. Non-residential investment is up year-over-year with close to a 9% jump for the first quarter year-over-year. This is a positive move for any type of building trade other than residential housing. Automobile production is also up this year. Total automobile product manufacturing (cars and trucks) is up roughly 9.3% year-over-year. Manufacturing of automobiles is a major employment source, yielding a positive sign for new jobs in this industry. There have been numerous articles in major publications over the last thirty days regarding the increase of oil and natural gas drilling in the U.S. We are seeing an enormous increase of oil production in this country right now – more than anything this country has seen in decades. Natural gas is being located and drilled in many parts of the U.S., forcing the cost of natural gas to all-time lows. This production of new oil in the U.S. has already forced a reduction of our foreign oil imports by 15% in the last two years. This is rarely in the press, however, since environmentalists frown upon drilling for oil and natural gas. However, if we are ever going to be economically independent from our current oil suppliers of oil (many of these are not friendly to the U.S.), we must produce it in the U.S. Even with the current administration’s attempts to diminish the value of oil produced in this country, drilling is producing jobs unlike any sector of the U.S. economy. While the administration’s “green” job efforts have been a total bust, the traditional jobs created by natural gas and oil productions in the U.S. have been quite lucrative. U.S. exports are up close to 6% year-over-year while imports are only up less than 2%. We are definitely a long way from balancing our trade budget, but it’s clear that the trend is moving in a positive direction. With further reductions of imported oil, we could get close to balancing the trade budget within this decade. If we did not have an administration in Washington that was against the U.S.’s production of natural resources, we would be closer to accomplishing this goal than we are today. These industries create good, high-paying jobs. The administration’s nearly $90 billion expenditures on green job efforts, in the last three years, has been a complete failure. It has created neither significant energy nor hardly any permanent jobs. It’s true that unemployment continues to be stubbornly high, but it is trending in a more positive direction. With new unemployment claims falling below 400,000 a week, employment appears to be increasing slowly. Only a year and a half ago, weekly claims for new unemployment were 700,000 per week, and therefore, the current numbers are a significant improvement. In October, the index of leading indicators was up 5.5% year-over-year. This evidence is overwhelming positive for the economy based on economic statistics alone. The major alternatives to stocks are interest-bearing investments. Of course, interest rates are currently at all-time lows. The Federal Reserve announced that the year-over-year inflation rate is 3.5%. This week, a 30-year Treasury bond was yielding 2.91%. Therefore, by virtue of buying a 30-year Treasury bond, you will have built-in loss of purchasing power over the entire 30-year term. A 10-year bond is yielding roughly 1.9% and a 5-year CD, at its best rate, is yielding only 2.8%. These instruments only assure investors that they will lose purchasing power over their term with inflation at 3.5%. Earnings this quarter will again set a new record for the highest earnings ever in the history of U.S. finance. Corporate buy-backs and dividend increases have never been higher. It is very easy to purchase utility stocks and other great growth stocks with dividend rates above 3% and many at 5%. As of Friday, the Dow Jones Industrial Average was selling for a price/earnings ratio of 10.6% for the 2012 year. That’s almost a historic low for high quality earnings on large companies. Additionally, the dividend rate for the same group of stocks is greater than 2%, which is higher than the 10-year Treasury bond. This has only occurred a few other times in U.S. financial history. The FDIC recently announced that bank net earnings during the third quarter were a cool $35.3 billion. U.S. banks are expected to have net profits in excess of $120 billion for the 2011 year. However, bank stocks are selling at a small fraction of their intrinsic value. As of today, Bank of America has a book value of $20.96 per share and has on its balance sheet over $1 trillion in cash. However, the current market value of the stock languishes at $5.50 per share. JP Morgan Chase, one of the great banks of our country, has a book value of $43 per share and the stock sells for $29 per share. Therefore, these two major financial institutions are selling at a discount of nearly 50% of their book value. These types of discounts are rarely seen in the U.S. Furthermore, U.S. banks have never been as financially sound or as financially able to lend as they are today. It’s easy to be confused by all of this positive economic news when the market was down close 8% in the last two weeks. Like I’ve said before, however, the traders on Wall Street don’t care about economic trends or positive economic results; their only concern is movement (either up or down). Once the market moves, they can adjust either up or down by trading millions of shares for a minuscule gain. Long-term investors like us should not be concerned with day-to-day movements that really mean nothing in the end. Yes, there are negatives stemming from the crisis in Europe. But in my opinion, even if Europe were to implode, it might actually be good for U.S. companies. How? If the Eurozone countries split up and started creating tariffs among themselves, it would likely benefit American companies. Moreover, the reestablishing of central governments in each of these European countries would be a positive economic benefit for the U.S. because we would have a competitive advantage on currency and corporate strength. To me, the biggest concern is the uncertainty of it all. At the speed they are moving at in Europe, it doesn’t appear that we will see a complete resolution for months, if not years. I believe that the major negative facing our country is Washington’s complete ineptitude. The Congressional super committee’s failure to come up with a compromise on a financial plan is a classic example. The U.S. is facing $44 trillion in deficits over the next decade and this group of twelve could not agree on a mere $1.2 trillion in reductions. While the issues in Europe are wreaking havoc on the financial markets, at least they are dealing with their problems; U.S. leaders have yet to step up to the plate to deal with ours. In spite of Washington’s incompetence, however, the extraordinarily high levels of corporate profits, rock bottom interest rates, and a stable banking environment provide for a favorable appreciation in the stock market. If we want “real change” in Washington, we need to make a change. This holiday, give your younger loved ones the gift of higher education with a 529 plan. Let’s face it, they’re never going to put it on their wish list over an iPad or a Kinect, but, fortunately for them, they have someone as sagacious as you in their lives. They may not appreciate it now, but they will one day (and if they never do, well you have the option of passing it on, penalty-free, to someone more deserving)! Q&A Series - Which Assets Affect Financial Aid Eligibility? Please feel free to contact us with any questions about setting up an account that’s right for you, or if you’d like to make a contribution towards an existing one. And remember, life isn’t always too short, so don’t forget to give your own retirement plan a gift as well! Have a wonderful Thanksgiving and please note, our office will be closed on Thursday, November 24th and Friday the 25th. After 21 extraordinary years in Midtown, our much anticipated move is finally upon us; by the close of the week we will be settled into our “new and improved” home, located at the Atlanta Financial Center in Buckhead. Needless to say, we can’t wait for you to see it. For your convenience, our telephone and fax numbers will remain the same following the move. Please note, however, that our office will be closing at 3:00 p.m. on Friday, November 11th, in order to accommodate the scheduling needs of the movers. Monday, November 14th, will be business as usual, as we’ll continue to provide our clients with the same great service they deserve. Thank you to everyone for all the well-wishes and we hope to see you in our new office soon! By the end of June 2012, the Fed will be purchasing $400 billion of mid- and long-term Treasury securities (maturities of 6 to 30 years), and it will sell an equal amount of short-term Treasury securities (maturities of 3 years or less). The Fed will also reinvest principal payments from its holdings of agency debt and agency mortgage-backed securities with remaining maturities of 3 years or less. The Fed will keep the target range for the federal funds rate at 0 to ¼ percent. As anticipated, the Fed will not be printing any new money in this plan. With the FOMC pointing out “there are significant downside risks to the economic outlook” as its decision to extend the maturity of its securities holdings, the world markets tumbled yesterday. But this is likely a short-term hiccup, and as I stated on Tuesday, the Fed’s move is better than doing nothing. It will hopefully spur companies to start investing their cash and also allow for better borrowing terms and an increase in household spending. All of these positives would ultimately help increase employment and promote price stability – the Fed’s two statutory mandates. Even so, the Fed’s somewhat dour outlook along with signs of a slowing in Germany’s economy and a shrinking in China’s manufacturing hammered stocks and commodities yesterday. Meanwhile, the Dollar Index climbed to 1.3% – a 7-month high – and 30-year Treasuries dropped to record lows. Still, the FOMC did say in their announcement that they expect the economy to improve, stating that “The Committee continues to expect some pickup in the pace of recovery over coming quarters.” This statement wasn’t discussed much in the press, which mostly focused on the dismal news. As you may recall, the first two quarters of 2011 were marginally positive. With the Fed’s forecast of an increase in the recovery pace, I can only assume that they believe the second half of the year will be better than the first. Last week, the market had a positive return of over 5%. Over the last two days, the market has gone down over 6%. To me, this emphasizes the volatility of the market and not the overall direction in which the market is heading. As I write this post, the S&P is down 10% for the year, and as last week’s performance indicated, this could be cut in half in only five trading days. This morning on CNBC, Jack Welch, the former Chairman and CEO of General Electric, stated that of the 11 public companies for which he consults, not one of them is down. He optimistically opined that U.S. corporations are functioning okay on the low side and fabulous on the high side. His sentiment is that corporate America is leaner, more productive and more profitable than ever. Hence, what has happened in the market since the Fed’s announcement on Wednesday is a mystery to those of us who evaluate the market based upon these fundamentals. In spite of the market’s performance, the Conference Board, a global research association of independent business leaders, released a report on Thursday reflecting that the index of U.S. leading indicators was higher than its original forecast in August, signifying accelerated growth heading into 2012. So while the market may seem disappointed that the Fed delivered only what was expected and nothing more – and even with the bleak economic news around the world – I don’t foresee the markets continuing to spiral downward. I also disagree with those who say ‘Operation Twist” will likely fail and that the U.S. is on the verge of falling into another severe, prolonged recession. As I’ve indicated on numerous occasions, while growth certainly isn’t robust, I still believe there will be a pickup in recovery over the coming quarters and the unemployment rate will decline – even if only at a gradual pace. So, while my belief that equities will improve in the months ahead remains the same, we will continue to watch the markets closely and make any necessary changes to our portfolios under management. For now, however, I still believe that we are better off invested in stocks than anywhere else. The worldwide sell-off in the equity markets is riddled with inexplicable contradictions. For the first time since 2008’s broad market sell-off, equities and gold took a simultaneous nosedive; these asset classes typically move inversely to one another. With the rally of the dollar, almost all commodities were hard-hit yesterday. But the price of crude oil was down dramatically, which is a direct positive for the economy and an indirect positive for the stock market. Last night I reviewed the worldwide GDP growth to make sure I haven’t been hallucinating. It appears that China will have GDP in 2011 of approximately 9%. India’s GDP growth is anticipated to be 6% to 8%, and Brazil is expected to have GDP growth of 5%. From the raw data, it appears that Europe will be flat or marginally negative, and the U.S. will be flat or marginally positive. There are currently no solid facts that would explain such a massive market sell-off under these predictions. I mentioned that the U.S. GDP for the first two quarters of 2011 was marginally positive, and it certainly appears to have picked up in the 3rd quarter of 2011. Based on my rough calculations, it appears that the GDP will be about 2% positive for the 3rd quarter, which ends next Friday. That’s certainly not robust, but it’s not negative or indicative of a major ongoing recession, either. I see very few solid facts to back-up the selling spree on Wall Street. Fear seems to be the main driver, which – in a contrarian sort of way – is positive. With dividend yields on utility stocks now in excess of 6%, it is hard for me to imagine a knowledgeable investor continuing to sit in a 10-year Treasury at 1.7% when AT&T can be bought with a 6% dividend yield. That being said, I fully understand the apprehension when the market is so volatile. Corrections are often painful to endure, but the natural mechanism of the market is that there are major swings on both the upside and the downside due to traders trying to gain an advantage. Investors should expect a market move of 10% to 20% at any time, and should certainly not be surprised by such moves. In the end, however, fundamentals will rule – and the current fundamentals concerning earnings bode well for investors. It was also argued that the market sell-off was due to a rotation from equities into the safety of Treasury bonds. However, the 10-year Treasury is currently trading at 1.73%. No savvy investor would buy a 10-year bond at this low rate when inflation is expected to exceed 2%. These buyers are either dramatically concerned about a possible worldwide depression or they simply do not understand the time value of money. It’s hard for me to join the depression camp when I’ve not read a single reputable economist projecting negative GDP in the next few years. This sell-off is also contradictory because it is happening in the face of extraordinary earnings. It now appears that 3rd quarter earnings will reflect the highest earnings ever recorded for the S&P 500. How is a major stock market sell-off even reasonable in the face of such extraordinary earnings? The S&P 500 has a dividend yield in excess of the yield on the 10-year Treasury bond, which has happened only a few other times in history. This brings to light the major difference between traders and investors. Aside from those investors making fear-based decisions, most investors would never buy a 10-year Treasury earning 1.73% when the S&P index generates 2.25%. Moreover, the 30-year bond is trading at 2.8%, which is the lowest yield ever recorded on such a long-term bond. While everyone would like to believe that inflation will be less than 2.8% over the next 30 years, there’s certainly no historic evidence to indicate that to be true. My next post will focus on the difference between traders and investors. Traders work on short-term variations while investors look to the long-term, and I will provide my complete analysis on this subject and how it impacts the stock market early next week. Lastly, I want to reiterate our standing invitation to discuss your portfolio and financial matters with us in person or over the telephone, whichever is more convenient for you. 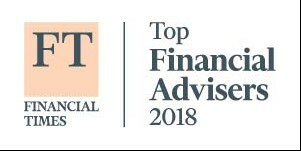 We’re aware that the markets have been worrisome over the last few months, and we want you to know that we are always available to discuss your questions and concerns and our strategy for your financial goals. Please contact us at 404-892-7967 if you would like to schedule a meeting to review your personal financial plan. Regardless of your financial situation, an estate plan at the time of your death, even the most basic one, will save your loved ones a lot of unnecessary time and money. Trying to figure out where to begin seems to be a concern for many of those without an existing one in place, so I thought I’d take a few minutes to just run through the basics. The following is not applicable to those with estates totaling $5 million or more, as legal advice should be sought. The simplest way to get started would be to create a list of all your assets (retirement savings, IRAs, 401(k)’s, life insurance policies, real estate, etc.) and ensure that they are properly titled. When given the opportunity to appoint beneficiaries for accounts, always do so. These are known as ‘non-probate assets’ and will be passed on privately and automatically upon your death, typically without any involvement from the courts; naming a person as your beneficiary, as opposed to an estate, is also recommended in order to avoid probate costs. Assets that don’t require a named beneficiary, such as deeds, CDs and brokerage accounts, have caused countless problems that could be easily avoided by simply having a Transfer-on-Death or a joint tenancy with right of survivorship (JTWROS) agreement in place. Everybody needs to have a Last Will and Testament in place. This crucial document specifies exactly how your affairs will be handled in the event of your death. It also prevents your family members from having to take on the labor-intensive task of trying to track down all of your existing assets; a will allows you the opportunity to conveniently itemize all of your assets and specifically state how they are to be distributed. A will is also ideal for directing what you would like to have done with your remains, and, if relevant, establishing guardianship for your children. In addition to your will, you should also assign a power of attorney to handle your finances should you no longer be able to do so yourself. Let’s face it, you’re more likely to become ill and incapacitated than face an instantaneous death and like it or not, the bills still have to be paid. Find someone you trust to deal with these financial matters on your behalf. Many people choose a trustworthy family member to take on such responsibilities, but you are not required to do so; just make sure it’s someone you can rely on to act in your best interest. And while we’re on the subject of incapacitation, an advance healthcare directive should be put in place as well. This allows you to leave instructions regarding what type of medical care you want and also allows you to name a medical power of attorney to ensure that your treatment preferences are adhered to. These documents can easily be created along with your will; although the cost varies depending on the complexity, the price is usually very reasonable and well worth the peace of mind gained by knowing every decision made is your own. You would be amazed by how many people have no idea who they have listed as their beneficiaries. They most likely designated these people years and years ago and never gave it a second thought. You should always verify your listed beneficiaries upon life changing events (e.g., divorce, remarriage, death of spouse, etc.) and update them where necessary. The last thing you want is your ex-spouse laughing their way to the bank after you’re long gone because you forgot to revise your beneficiaries after the divorce. With the current Estate Tax in place ($5 million/person), the estates of very few individuals will be taxable; unfortunately, like all good things, this too will eventually come to an end so it is important that you remain aware of any changes that may have a direct effect on you. For more in depth information about titling estate documents, please refer to our Q&A Series: Estate Planning under the Tax Relief Act of 2010 from June 13th. As always, we welcome the opportunity to meet with you personally to discuss any questions you may have regarding your individual estate plan. And now she has another certificate to prove it. Rollins & Associates’ very own Danielle Van Lear is now, officially, a CPA; she passed all four parts of the exam with flying colors on her first attempt - less than 20% of first time test-takers can say the same!! 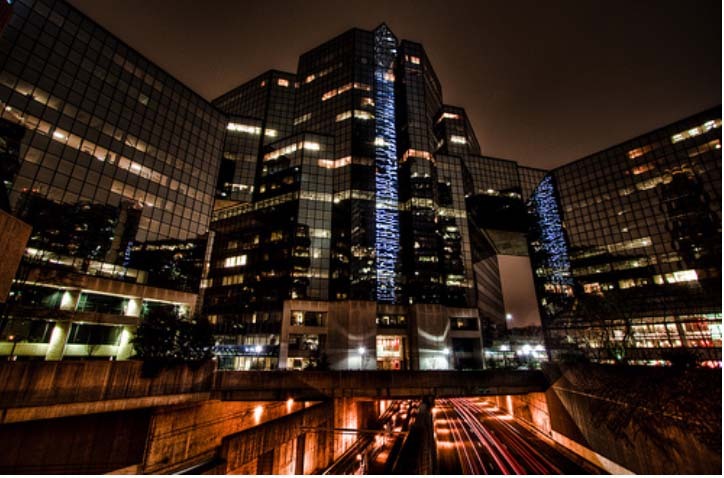 Rollins & Associates is our sister CPA firm, which has been operating in Atlanta since 1981. 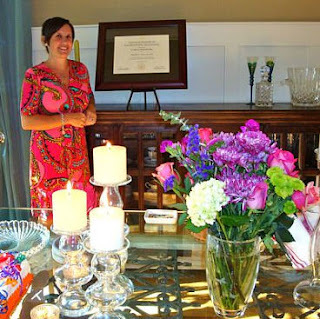 Danielle received her undergraduate degree from the University of North Carolina (sorry Duke fans) in 1996 while majoring in Mathematics and Secondary Education. After graduating, she taught math in both middle school and high school for over 5 years before deciding it was time for a career change. Not abandoning the classroom completely, she soon found herself adjusting to the role of student as opposed to teacher. And in 2003, she received her MBA from Georgia State University with a concentration in finance. Luckily for us, she graciously accepted a position with Rollins & Associates in February of 2004. Throughout the years she has completed countless hours of Continuous Professional Education courses as well as over 30 hours of accounting classes, while still working full-time for Rollins & Associates. Needless to say, all of her hard work has paid off and she continues to amaze us all with both her knowledge and determination. So kudos to Danielle, and if you haven’t had the privilege of working with her, know that when you do you’re in excellent hands! 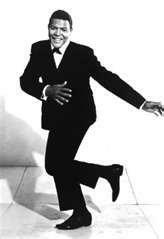 C'mon Baby, Let's Do the Twist! The Federal Open Market Committee (FOMC) began their 2-day meeting today on interest rate policy. At the meeting’s close tomorrow, investors are anticipating Fed Chairman Ben Bernanke’s announcement of ‘Operation Twist Light,’ a plan wherein already low long-term interest rates would be decreased to an even lower level. At last month’s FOMC meeting, most members supported additional policy measures to help encourage a stronger economy, even though Bernanke didn’t talk about the possibility of the Fed taking further action in his Jackson Hole speech last month. The market’s performance over the past month, however, has made it clear that the market expects the Fed to take some modest action, although it’s not demanding another full-on round of quantitative easing. How would ‘Twist Light’ work? By increasing the timespan (longer maturities for the bonds) – but not the amount – of the securities held by the Fed (approximately $2.6 trillion). And unlike the full-fledged Operation Twist program instituted in 1961 that it was named after, the Fed wouldn’t be selling short-term securities to buy long-term debt. Rather, the Fed would “begin passively increasing [its portfolio’s] average maturity” by investing its available cash and reinvesting its longer-term mortgage-backed security proceeds. WHAT MIGHT THE TWIST ACCOMPLISH? The hope is that the extension of the Fed’s portfolio holdings would cause long-term interest rates to reduce, making it more desirable for companies to invest their stockpiles of cash. Theoretically, it would also allow for better borrowing terms and an increase in household spending while boosting employment and keeping prices from falling. And what about the potential benefits to the market? Optimistically, Twist Light would help nudge investors away from deposits and riskless assets, taking the market higher. Even so, if the FOMC passes Twist Light – and it probably will, even with Philadelphia Fed President Plosser and Dallas Fed President Fisher expected to dissent – analysts generally aren’t counting on a huge impact to the market. Rather, rallies on both the upside and downside will likely continue through the end of the year. The most important facet to Twist Light is that there would be no monetization plans (i.e., printing of new money). Unlike QE1 and QE2 wherein the Fed printed new money to purchase securities, none of that will take place in Twist Light. Since there’s no expansion of the monetary system and only an extension of the terms, I can’t see how it would hurt – and it might just help. The Fed certainly has my blessings to proceed. Of course, with long-term yields already at low levels and with low borrower demand, there is some debate as to whether this action would really provide any economic benefits. After all, even worthy borrowers have thus far been uninterested in taking loans from banks that are sitting on hoards of cash. However, with unemployment continuing to hover at approximately 9% and with stalling growth, Twist Light seems to be a reasonable effort for the Fed to undertake. Treating financial market volatility lightly is never my intention, but the current sell-off in the equity markets appears to be confusing to the average investor. My feeling is that things are not nearly as bad as they are being represented by the media, but undeniably, your account balances are going down almost daily. Undoubtedly, the wild swings in the equity markets are upsetting and confusing, especially to those who may not fully comprehend all the economic terms being used by the financial press. In this post, I’ll give you some background information to help you understand the economic impacts of the global sell-off. What happened next? An uproar ensued with some insinuating that Obama is a sexist who called Palin a pig. 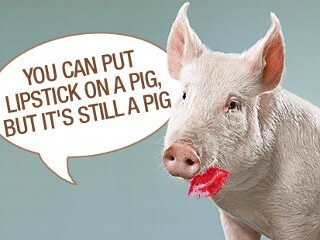 He didn’t, of course, call Palin a pig; the “pig in lipstick” metaphor is fairly common and there are several examples of its use from decades ago. Using this adage in the context of today’s financial woes, I would say that lipstick has been slapped on the pig that is our economy to make it more attractive. Is it working? And who is right – the bulls or the bears? Last Friday, the equity markets sold-off over 300 points. Many have attributed that sell-off to the resignation of the European Central Bank’s chief economist, Jürgen Stark – the second German ECB official to jump ship in recent months over policy differences. Stark disagreed with the ECB’s increasing market interventions; he feels it is up to the Eurozone governments to bailout the distressed regions. There’s almost no question that Greece will be forced to default on their obligations, and many publications have reported that it only has a few weeks of cash left in its budget. It’s also been reported that Greece has failed to meet the austerity goals it agreed to follow under the aid package. Even though Greece has significantly increased its taxes, there are very few people who actually do pay taxes in Greece. And so, increasing taxes on the few people who pay them may force them to leave the country, worsening the problem. Additionally, Greece’s “cradle to grave” philosophy simply isn’t working. A majority of Greece’s citizens are government employees (directly or indirectly), although none of them have been laid off to this point. It seems apparent that the measures Greece is taking to close the budget shortfall are not enough. It’s no wonder that Germany is now unwilling to help Greece avert default. This story is interesting, but it doesn’t explain the dramatic impact on the Dow Jones Industrial Average – a loss of almost $1 trillion in equity values in the U.S. financial markets on Friday alone. Many argue that Greece’s default would reportedly cause severe financial implications to the United States, but U.S. bankers have stated that they have little exposure to Greek sovereign debt. In addition, since this crisis has been ongoing for several years now, it’s unlikely that banks do not have credit insurance on these Greek obligations. As such, assuming that the U.S. financial banks would incur a huge hit from a default on Greek government bonds makes little sense. Moreover, even if there were a default on Greek government bonds, it would not be a 100% loss. Presumably, the Greek government would be forced to abandon the euro and issue its own currency. Since Greece’s own currency would be highly inflated with “funny money,” the debts would be repaid with deflated Greek currency, almost ensuring that Greek government bondholders would suffer a loss. But by no stretch of the imagination would these losses be 100% of the bonds’ face value. My point is that the U.S. banks have almost no exposure to Greek debt. And to the extent that they do have exposure to Greek debt, the banks almost assuredly have credit insurance against that debt. Finally, even if Greece were to default, it would certainly not be 100%. Therefore, I’m still baffled by the sell-off in the U.S. markets due to this situation. Many have argued that the major European banks in France and Germany will become insolvent from to the situation concerning Greece. This argument is naïve, and it baffles me whenever I hear it reported in the financial press. So far, the ECB has purchased $75 billion worth of sovereign debt from various countries in the EU. This was done to stabilize the bonds of these countries, but it still hasn’t worked. The bonds have continued deteriorating and its yields have skyrocketed. The analysts seem to forget that these European banks exist in the heart of Socialist economies. Neither Germany nor France is hesitant to invest money directly in their banking system in order to stabilize the banks. In fact, before 1980 almost every major bank in France was owned directly by its government, not the private sector. It would be much less expensive for these particular governments to invest money directly into their own banking systems rather than purchase the government bonds of a country with no financial controls such as Greece. To say that the reason the equity markets in the U.S. are going down is because the banks in Europe run the risk of insolvency is an uninformed statement. The equity markets sell-off on Friday, September 2nd – which was attributed to the jobs report reflecting a net zero increase in employment – is also confusing. The financial press again failed to report all the pertinent information, which caused a volatile market response. For instance, 45,000 Verizon workers were on strike during August, and those workers were included in the unemployment figures. During September, these workers returned to work without a contract and will be counted as employed for this month. If you add-back these workers, the actual jobs report would have indicated a 45,000 increase in employment during August. These employment levels certainly aren’t stellar, but they’re hardly as devastating as reflected by the performance of the equity markets. After all, it wasn’t that long ago that the employment reports were reflecting 400,000 to 600,000 negative jobs each month. The fact that the numbers have increased to zero should indicate that the economy – even if it’s not robust – isn’t worsening. Time and time again I point out the excellent earnings of major U.S. corporations. Many reported this week that if the U.S. falls into recession, corporate earnings would be cut dramatically. But that statement doesn’t appear to be supported by the facts. In reviewing the first quarter of 2011, the economy functioned at a less than robust 0.7% GDP. Basically, this represents a flat line on economic activity. However, the S&P Index of 500 Stocks reported record earnings during this muted GDP growth. Therefore, if you assume that the third quarter of 2011 GDP was essentially zero, then why has almost every analyst forecasted record profits during this same quarter? The inconsistencies in the financial markets right now are overwhelming. Although it seems much worse, the S&P 500 is only down 7% for 2011 through Friday, September 9th, but is up over 20% for the last year. In long-term investing, a 7% decline should not be unexpected by investors; a true 20% movement in the market isn’t that unusual, so a 7% decline clearly isn’t that extraordinary. Due to the extraordinary volatility in the markets, it certainly feels like the losses should be significantly greater. As of Friday, September 9th, the S&P 500 was at 1,155. Yesterday, a Bank of America/Merrill Lynch strategist, David Bianco, reconfirmed his year-end target for the S&P 500 at 1,400. This means Bianco expects the S&P 500 to increase 21% in the next 3½ months. He stated that the market has priced in an 80% chance of recession for 2011. Also, neither he nor I believe a recession is in the near future. Most investors would find it inconsistent that on the same day the financial media is reporting chaos in the financial markets and a worldwide sell-off, the chief market strategist for the largest brokerage house, Merrill Lynch, is actually reconfirming his year-end target of the S&P 500 being up 21% from the current level. These are not the only inconsistencies being reported by the media today. Ironically, almost all states are currently reporting higher revenues from sales tax, state income taxes and other income sources. It is illogical to assume that sales tax revenues would increase without corresponding sales increases. 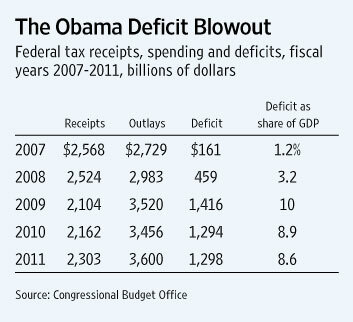 The Federal government is also reporting higher payroll tax receipts in 2011. If employees weren’t earning more, then payroll taxes wouldn’t be increasing. In August, the Department of Commerce reported a large increase in U.S. exports. This can only mean that U.S. manufacturing is increasing, reflecting that U.S. exports is one of the bright stars in our economy in recent months. This can mainly be attributed to the lower dollar and the higher efficiency of the U.S. worker. For instance, German automobile manufacturer, Daimler AG (maker of Mercedes-Benz), is producing cars in South Carolina that are being exported around the world. As I’ve indicated in prior posts, analysts are projecting that the earnings for the S&P 500 for 2011 will be approximately $100/share. Even if the analysts are off by 10% and earnings are only $90/share, given a conservative multiple of 15, the S&P 500 would have a current valuation of 1,350. Given the S&P’s current level of 1,155, then that index would be undervalued by 17%. With the low yields on U.S. Treasury bonds at 1.9% today for the 10-year bond, a multiple of 15 is quite conservative. Furthermore, even though the markets continue selling off, valuations are more than fair – and perhaps even undervalued – at the current time. There’s also been a drastic movement in the bond market. As I mentioned above, the 10-year Treasury bond sells today for 1.9% even though inflation is forecasted to be close to 2% in the coming decade. It’s difficult to imagine why any knowledgeable investor would buy a Treasury bond that would most assuredly lose money in purchasing power over the next decade. Unfortunately, many seem to have done so. The financial media is reporting that the U.S. is falling into a serious recession. Meanwhile, the National Association for Business Economics slashed their potential growth forecast for 2011 and 2012 this week. These economists are forecasting that the economy will grow at 1.7% for 2011 and at 2.3% for 2012. While the media talks about a recession, NABE economists are talking about reasonable growth over the next two years. Should investment decisions be based on what the financial media reports or on projections from economic experts? Clients have asked me to comment on President Obama’s new jobs plan and the potential for QE3 by the Federal Reserve. While the jobs plan will help GDP growth some, it’s hard to imagine that it would help enough to offset another half trillion dollars in debt. If Congress approves this plan, we should expect some GDP growth in 2012 from this bill. Hopefully the growth will be enough to offset the additional money that will need to be borrowed to finance the plan. Regardless of what the president says about the plan being fully paid for, it will clearly be an outflow of cash in 2012 and an inflow of cash in some later year. In other words, it may be paid for, but not in the same fiscal year it’s spent. Last Thursday night, President Obama gave his speech on his American Jobs Act plan. In it, he indicated that everything in his proposal has been supported by both Democrats and Republicans. Yesterday, Obama outlined how the $447 billion jobs bill would be paid for – by various tax increases that have been systematically turned down by Congress a number of times over the last three years, even when Democrats controlled both the House and the Senate. Frankly, I don’t understand why President Obama’s solution is to increase taxes. I find it even more distressing that while the money would be spent in 2012, the tax changes would not go into effect until January, 2013 – two months after the November, 2012 presidential election. As for QE3, the most recent proposal is that the Fed will sell some of their short-term Treasury bonds and buy longer term Treasury bonds. It would take another post to explain the rationale for this approach, but my opinion is that QE3 wouldn’t hurt. Why? Because the Fed wouldn’t be printing any new money or expanding their balance sheet; rather, they’d be selling some items on their balance sheet and buying others. I can’t imagine this having a negative effect, and therefore, bring on QE3! I recognize that these news items are inconsistent with the stock market’s continuing decline, and frankly, that’s the reason our firm isn’t selling. Instead, I’m holding out for sanity to return to the markets. With the volatility in Europe and the constant fear of a recession in the U.S., I don’t expect the wild swings in the market to stop anytime soon, but I still believe that the markets will eventually increase. In my opinion, 2011 will still reflect double-digit positive numbers when all is said and done. We're very excited to announce that, after 21 years in Midtown, we will be moving to a new location! In November 2011, Rollins Financial, Inc. and Rollins & Associates, P.C. will be relocating to the heart of Buckhead. 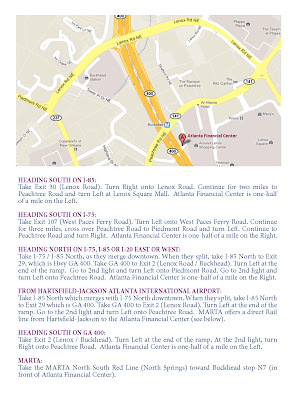 The new space will be conveniently located in the Atlanta Financial Center, within walking distance of Lenox Mall, Phipps Plaza and countless restaurants. As always, our clients will continue to receive the same personal and professional service they have come to expect from our experienced staff. We’ll keep you posted as to when we’ll finally be in our new office. 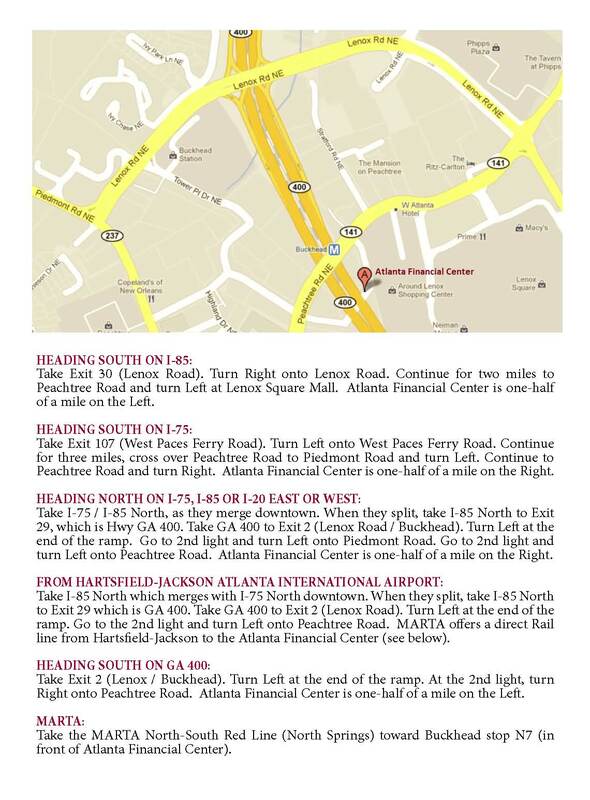 In the meantime, to learn more about the Atlanta Financial Center, please visit their website. In observance of Labor Day, the offices of Rollins Financial and Rollins & Associates will be closed on Monday, September 5th. Please note that all major U.S. stock exchanges will also be closed due to the Labor Day holiday. 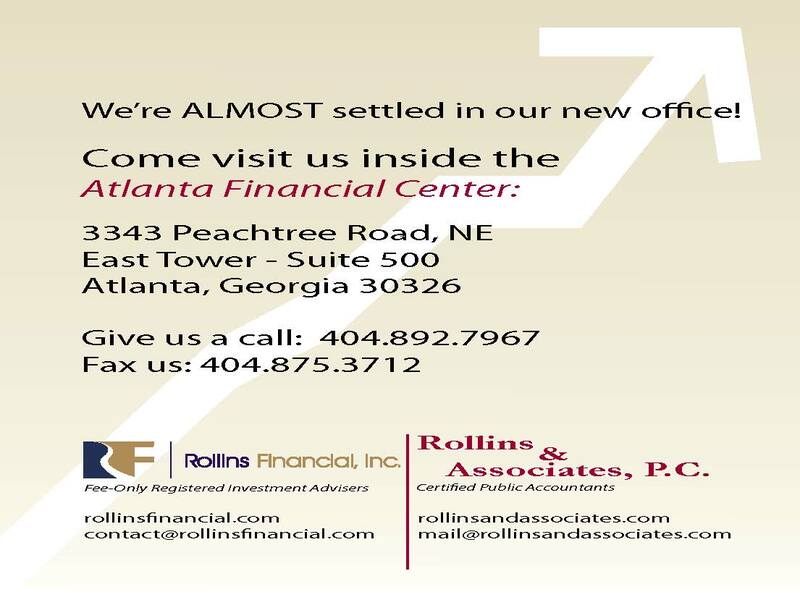 If you require immediate assistance on Monday, please contact Joe Rollins at 404.372.2861 or jrollins@rollinsfinancial.com. Our office will re-open for business on Tuesday, September 6th at 8:30 a.m.
Uncle Ben to the Rescue? Probably not! You may have heard a certain Republican presidential candidate spewing rhetoric that may lead supporters to believe the Federal Reserve is the devil incarnate. Rick Perry is calling any moves undertaken by Chairman Ben Bernanke to expand the money supply “treasonous,” a statement Sarah Palin agreed with during an appearance on Fox Business. (“printing more money to play politics at this particular time in American history is almost…treasonous in my opinion.”) Clearly, neither the Texas governor/presidential candidate nor the former half-term Alaska governor/Fox pundit has any idea what the Federal Reserve’s economic goals are or how it operates. I’m not saying they’re debauched, just uninformed. The Federal Reserve System was created by Congress in 1913 after a series of financial panics. The role of the Fed has evolved over time, but its two primary goals are to maintain price stability and increase employment. The main way the Fed controls economic activity is through interest rates, under the theory that the lower the interest rates, the better the economy. If interest rates are low, businesses can borrow inexpensively, build plants and equipment, employ more people, and expand. Likewise, consumers can buy cars, TVs and other products and services with low interest rates and easy credit. Today’s question comes from Mike, a client who is wondering about the effect of quantitative easing on the stock market. Q: The Fed has instituted quantitative easing policies twice to stimulate the economy. Have those efforts artificially propped up the stock market? 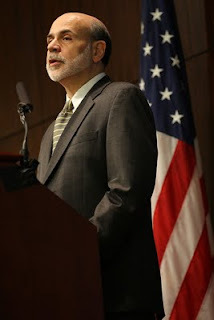 A: Considering all the talk in the press that Fed Chairman Ben Bernanke may announce another round of quantitative easing (QE3) tomorrow during the Fed’s annual symposium in Jackson Hole, Wyoming – and commentary as to whether or not QE1 and QE2 were effective – this question is on the minds of many investors. In simple terms, quantitative easing is when unconventional methods are used to pump money into an economy to drive down interest rates and encourage more borrowing and growth when typical monetary policy isn’t working. In the U.S., the first round of quantitative easing, “QE1”, introduced “credit easing” – wherein the Fed purchased government-sponsored bonds, mortgage-backed securities and Treasuries, and recorded that it had done so. This is called “expanding the balance sheet”. This money is then made available for banks to borrow in the hopes that it will increase the amount of money in the economy and, therefore, reduce long-term interest rates. QE1 ended in the spring of 2010, but the economy continued to waver. And so, in the fall of 2010, the Fed indicated that they would take on new quantitative easing measures in an effort to combat persisting high unemployment and low inflation – actions that came to be known as QE2. QE2 was a different animal than QE1. Whereas QE1 utilized credit easing to increase money in the economy and reduce long-term interest rates, in QE2, the central bank reinvested proceeds from its mortgage-related holdings to buy Treasury debt and also purchased additional long-term Treasury securities. The QE2 efforts ended on June 30th, with economists giving it mixed reviews. So, has QE provided any benefit to the economy? It’s hard to say for certain, and as stated above, economists’ opinions have varied on the subject. When the Fed buys bonds from the public and private sectors, one would intuitively think it would force interest rates down; and that when the Fed quits buying these bonds, it would force interest rates back up. On the contrary, almost exactly the opposite has happened. When QE1 began, interest rates actually started to rise, although from a very low level and only to moderate rates. It was generally presumed by the markets and the so-called experts that as soon as QE2 was scheduled to end on June 30th, interest rates would almost assuredly skyrocket. In fact, since June 30th, the 10-year Treasury bond – the benchmark bond issued by the Federal government – has plummeted to 2%, a record low for the last 60 years. Oddly, quantitative easing actually caused interest rates to increase when implemented, and rates to decrease when the program stopped. Politicians often speak of the Fed “turning on the printing press.” It’s true that the Department of Treasury has the ability to print new money, and therefore, it’s possible to produce new money to pay off old debts. In fact, quantitative easing’s effect was basically the same as printing new money without ever turning on the printing press. The Fed’s purchase of public and private sector debt instruments put tons of cash into the U.S. monetary system which, in theory, should have increased economic activity. This is what Governor Perry was criticizing as being political. It’s a misconception by many Americans – including some politicians – that the monetary base is diluted when the Fed prints money. But as the above example indicates, even though printed money was utilized, the Fed actually purchased assets. There’s no net increase in assets owned by the U.S. by substituting cash for bonds – it’s a one-for-one transfer. The Fed simply has the bonds on their balance sheet which can be sold at any time and the cash put into the economy. It’s a form of putting excess cash into the economy rather than bonds in the hopes that people holding the cash will use it for the betterment of the economy. This method has been used by central banks worldwide throughout history. For example, U.S. banks currently have $1.7 trillion in cash on deposit with the Federal Reserve. U.S. corporations are said to own over $2 trillion in cash that’s accumulated on their balance sheets. There’s no question that the monetary base has exploded by the Fed’s actions of taking money from its pockets and putting it into the pockets of consumers, companies and banks in the U.S.
Theoretically, once this money is in the system it will be utilized to create commerce. Unfortunately, this is where the theory has failed. In a nutshell, a combination of economic uncertainty, a distrust of Washington, and conservatism are causing U.S. corporations to refuse to spend their hoards of cash. Banks are covered up in cash right now, and the reason CD rates are so low today is because banks have little interest in more deposits since they received more than they could ever loan to the general public and businesses. Likewise, businesses are also covered up in money and have no desire to borrow from banks. While approximately 10 million people in the U.S. would benefit from refinancing their mortgages to lower interest rates – which would, in turn, help the economy – banks are unwilling to lend to these potential borrowers – even those with good credit. This is a Catch-22 – money is everywhere, but no one is willing to loan it or utilize it due to the uncertainties. And although there’s a lot of talk of the potential for the Fed to go forward with another round of quantitative easing, (“QE3”), for the foregoing reasons, I just don’t think that announcement is in the cards for Bernanke’s speech this Friday. Those who are critical of the Fed’s QE efforts thus far must remember that just as easily as they were able to put money into the system, they are able to remove it from the system. To do so, the Fed would reverse the effects of QE by selling the bonds that they currently hold on the open market and withdrawing the cash. To the extent that the Fed is holding Treasury bonds, they would simply force the banks to buy them and remove that cash from circulation. As such, if you believe that the Fed’s flooding of the economy with cash is a negative, the argument could easily be made that the positives far outweigh the negatives. But if the Fed doesn’t retire that cash and take it from the monetary system at some point in the future in an effort to shrink the money supply, it would undoubtedly be inflationary and would decrease the value of the dollar. It could be argued that since the beginning of the Fed’s efforts, QE has been successful since it has kept interest rates very low; it has forced the value of the dollar down (helping exporters); it hasn’t created inflation in a broad sense to this point, and; it hasn’t diminished the value of most assets in the U.S. (depreciation). On the other hand, QE has been unsuccessful in that it created very little economic activity. In fact, the economy slowed dramatically during the period of time QE was in effect. It has also forced down the value of the dollar, increasing the value of all commodities. Oil and other needed commodities move inversely to the value of the dollar. This means that oil and commodity prices have increased. Higher gas and food costs are a drag on the U.S. economy in some way or another. So, if you’re anticipating Uncle Ben to wave his magic wand on Friday and announce QE3, it’s unlikely that fantasy will be unfulfilled. My guess is that Bernanke, as always, will talk thoughtfully about the many options that are available to the Fed to stimulate the economy. But it appears that the moves in monetary policy to stimulate the economy are few and far between. Hopefully, Bernanke will state that they’ve done all they can do, and it’s now time for Congress to do something positive. But I wouldn’t count on that, either – they’ve already proven themselves to be incompetent. My guess is that rather than Bernanke announcing QE3, he will simply extend the maturities on the bonds held by the Federal Reserve which now amount to $2.7 trillion, successfully reducing long-term interest rates. Since a change of that nature would be subtle and doesn’t constitute a direct intervention in the economy, I suspect we’ll see a market sell-off on Friday following Bernanke’s speech since the traders will want much more. At the end of the day, none of Bernanke’s comments have much effect on the stock market. Rather, the stock market is driven by the economy and corporate earnings, and all this talk is distracting. Even though the stock market has sold off 15% from its high, as of today, nothing has changed fundamentally. Corporate earnings are still extraordinarily high and interest rates are extraordinarily low. Gold is now selling off and is correcting, and interest rates are starting to rise. Each and every one of these indications almost assuredly indicates a higher stock market in the future. While the traders are working their way into a frenzy over what Bernanke will potentially do, none of it will really matter come next week since it’s earnings that control the stock market’s future. Currently, our future seems to be better invested in stocks than anywhere else. Thanks for your question, Mike. We’ll have to wait and see if the Fed has decided to go forward with QE3 this Friday when Bernanke speaks at the Jackson Hole symposium – and what the market does after his speech. A stock market correction is generally defined as a 10% drawdown from a recent high. Researching the market indicated that these corrections occur about once a year on average, which is rather common. Unfortunately, long term investors are forced to accept these corrections as the timing and degree are uncertain. Each time we enter a stock market correction, investors – and advisors – consider whether this correction is likely to lead to an all-out bear market or if it’s leading up to a negative economic event. Only about 25-30% of market corrections lead to deeper market declines of 20% or more – commonly referred to as bear markets. Interestingly, bear markets, which occur every three to four years, happen slightly more frequently than recessions, which have historically occurred about once every five years. In the summer of 2010 we saw a 16% correction, about equal in degree to what we have witnessed in 2011, although a bit less dramatic than the recent market action. We believe that what we’re experiencing now is more similar to 2010 than 2008. So far, we believe this year’s correction is likely to remain just that – a correction. Several data points lead us to believe the market and the economy are likely to recover in the months ahead. First, employment trends have held rather steady and, if anything, show a slightly positive trajectory. The recent weekly unemployment filings have come in roughly in the 400,000 range, while last summer the weekly average filing new unemployment claims averaged closer to 450,000 per week. As a reference point, even during healthy economic periods there are typically around 300,000 who file unemployment claims on a weekly basis. In addition, the current unemployment rate is 9.1% versus 9.5% readings a year ago. These numbers are not indicative of robust economic growth, but are certainly not indicating a negative economic turn, either. Another item we found reassuring last week was the uptick in insiders buying their own company stock. Insiders are not always right nor do they always display perfect timing in their purchases, but it’s reassuring to see many who have intimate knowledge of their businesses who believe the market has priced those businesses at a good value. Some of the companies cited in various reports with insider purchases included Morgan Stanley, General Motors, Kraft, Chesapeake Energy and JP Morgan Chase. Barron’s reported that this spree of insider buying was coming in at the fastest pace since March of 2009. These are just some of the economic metrics we are watching as we try to make sense of very volatile markets. We believe a rebound is likely for equity prices in the months ahead, but will be watching closely and staying nimble as conditions can change quickly. 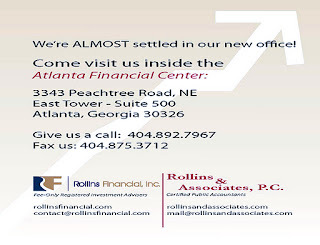 Partner and Financial Adviser, Rollins Financial, Inc.